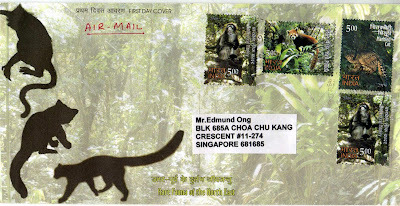 nE bLoGgErS: A beautiful fauna cover from India! 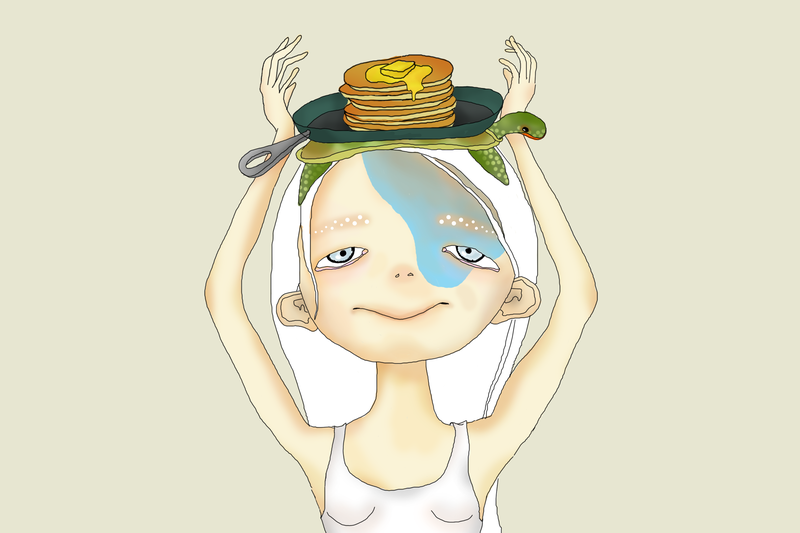 A beautiful fauna cover from India! The North-East India, a paradise of natural beauty is a home to rich bio-diversity. The Eastern Himalayas, marked by a sharp southward bend from the East-West trend of the Central Himalayas, are much greener due to high rainfall and present a rare physiographical picture. The Brahmputra valley and the adjoining plains are as sharply contrasted from the Garo, Khasi, Jaintia, Lushai Hills as are the various tribes and non-tribal population. Their geographical isolation has resulted into evolution of exotic and rare plant and animal species. 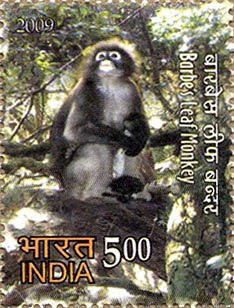 On 1st October 2009, India Post issued a set of 3 stamps entitled "Rare Fauna of the North East". 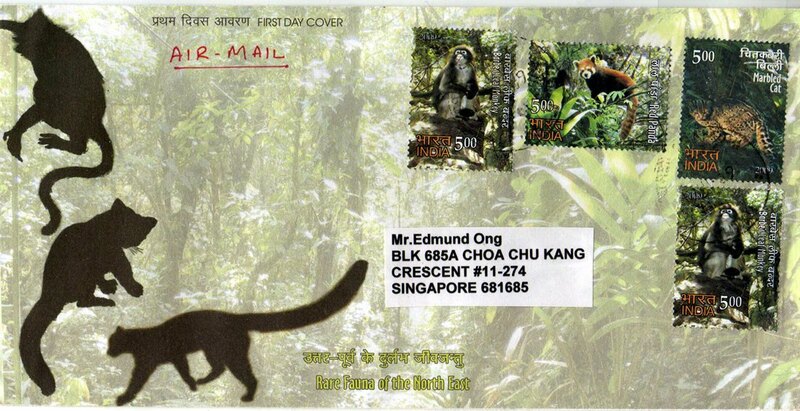 I am lucky enough to receive an official FDC sent by Jeevan Jyoti. Thank you sooo much! Barbe's Leaf monkey is sometimes referred to as the dusky or spectacled leaf monkey. They are mostly dark grey-black in colour with lighter grey on their chests and the top of their heads. Spectacled leaf monkeys are named for the white rings around their eyes that look like they are wearing glasses or “spectacles”. They also have white skin around their mouth. The rest of their face is black. The Red Panda is also called the Firefox or Lesser Panda. Slightly larger than a domestic cat, it has reddish-brown fur, a long, shaggy tail, and a waddling gait due to its shorter front legs. It eats mainly bamboo, but is omnivorous and may also eat eggs, birds, insects, and small mammals. It is a solitary animal, mainly active at dusk, dawn, and night, and is largely sedentary during the day. 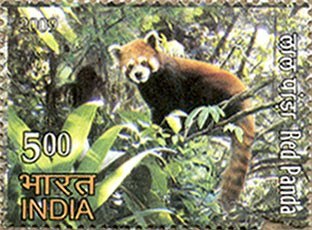 The Red Panda is classified as Vulnerable on the IUCN red list (2009.01), and is listed in CITES appendix I. The Marbled cat’s coat is very similar to that of the clouded leopard, although the black-edged blotches on the sides of its body are less distinct, and black spots on the limbs more numerous. It also has a long tail, equivalent to or longer than head-body length. 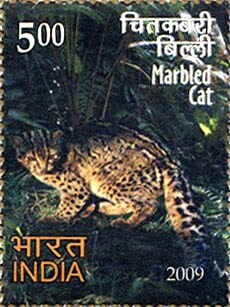 The marbled cat is endangered due to the dramatic loss of tropical rainforest, which is their habitat. That's all for today! Enjoy your weekend!